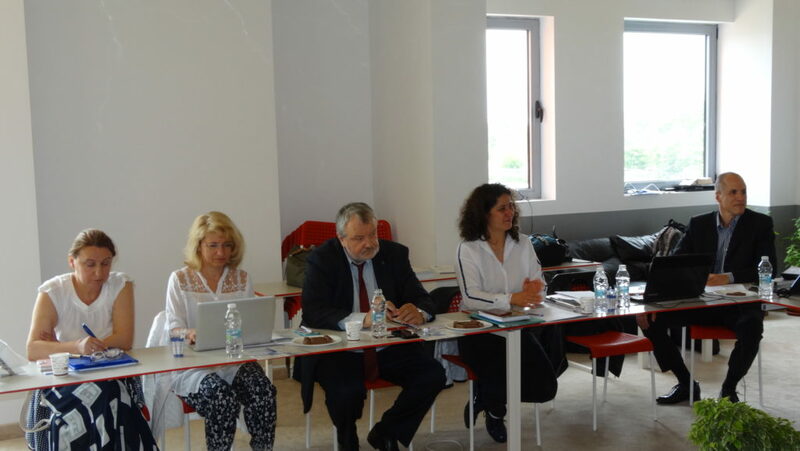 The General Assembly of ABC gathered 8 representatives from the regular members of the organization, 2 associates and 10 other participants and non-voting members, including representatives of ICT Cluster Blagoevgrad and ICT Cluster Burgas. All participants took an active part in the discussions. The meeting passed in positive tone and great mood, with a number of constructive proposals and comments and with a positive attitude towards the future development of the Association. In a detailed report, the Executive Director of ABC - Mr. Svetlin Rangelov presented to the GA and its guests the activities of the ABC during the reporting period. He focused on the administrative and organizational activities of the ABC, the events and conferences held, the membership of the Association, as well as the participation in European programs and projects. In 2017 - 2018, ABC worked successfully as a partner in a DanuBioValNet project consortium on the Danube Strategy under the INTERREG Program in the Bioeconomy with a leading partner BIOPRO Baden Württemberg, Germany. The first two project periods have been successfully accounted for. Representatives of the ABC participated in a number of meetings with the project partners. 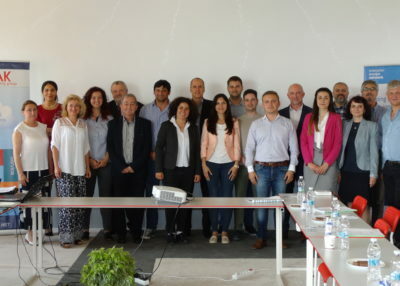 In connection with two of the thematic areas of the project - "Eco Construction" and "Phytopharma", two of the members of ABK - Cluster Green Singer and Bulgarian National Association "Essential Oils, Perfumery and Cosmetics" (with whom ABC held meetings and initiated the creation of a Bulgarian cluster in the field of Phytopharmacy, covering the whole value chain of production). Mr. Rangelov reminded that in 2017 and 2018 the bridge financing of the activity of the ABC under the INTERREG project DanuBioValNet with personal loans from Mrs. Genoveva Hristova and Mr. Ventsislav Slavkov was provided. During the reporting period, ABC organized a number of successful trainings and cluster events: three trainings for cluster managers in partnership with Innovation Norway, a regional cluster meeting in Plovdiv in November with the courtesy of Trakia Economic Zone Cluster and the Cluster Trakia Educational and Qualification Hub, an information seminar for the DanuBioValNet project, during the regional cluster meeting in Plovdiv in November. It was noted that we partnered very well and used the services ofThe European Cluster Collaboration Platform and our suggestion to make the cluster networks more visible was heard and put into effect. The European TCI Conference 2018 was held in Sofia, Bulgaria on "Turning Challenges into Opportunities through Clusters in Southeast Europe". The ABC was a co-organizer along with the main organizer of the event, the Consulting Cluster Veritas. The ABC maintains active communication in an effort to protect the interests of its members and during the reporting period a number of meetings were held with representatives of the State Administration: Ministry of Economy, Bulgarian Small and Medium Enterprises Promotion Agency, The General Directorate "European Funds for Competitiveness"on Clusters and Cluster Programs, Cluster Policies and Cluster development in Bulgaria. The ABC team also presented the highlights of the Association's work plan in 2018. Among the most important priorities of the ABC, several key points were outlined. One of them is the creation of working groups with up to 3 people (among cluster members of ABC) on thematic areas related to: working with the public administration, organizing events and European networks and projects. The organization of a National Cluster Conference will be among the main tasks of the ABC in 2018, as well as the organization of new cluster trainings, seminars and trainings. The communication channels of ABC will be upgraded and updated. At present, a new ABC website is being developed, which provides for a more modern vision, richer functionality, more structured and purposeful presentation of the activity, work and priorities of the ABC, presentation of Bulgarian and international cluster policies and cluster development tools and funding, information on projects, events and clusters, a map of clusters in Bulgaria (in which each cluster itself has the opportunity to register). It became clear that at the European TCI Conference in Sofia and at the initiative of the ABC it was decided to launch the European Network of Cluster Associations. It is based on a 2013 Memorandum of Cooperation, renewed in March 2018, with the main goal of engaging in cluster development and cluster policy support in close cooperation with the EC. This renewed agreement was signed by: ABC, the National Cluster Association of the Czech Republic, Clustero - the Romanian Cluster Association, the Cluster House, Serbia and the Hungarian National Alliance of Innovative Clusters. A work program of the Network is to be scheduled and the main objectives and priorities on which the activities will be carried out should be fixed. Mr. Petko Georgiev (President of ICT Cluster Burgas) invited the members of the ABC to take part in the European Day of the Sea, which will take place in Bourgas in the period 31.05-01.06.2018. He stated the intent of ICT Cluster Burgas to join the ABC and proposed the 10th Anniversary of the Association, which will be hosted by Burgas in 2019. Mr. Georgiev gave an idea to the ABC communication plan to include the creation of the Viber Community for even easier communication of the cluster society. Mr. Stoyan Dimitrov (Chairman of the Green Synergy Cluster) expressed willingness and readiness to help organize a course on the topic: Development of successful projects as well as other cluster events and trainings. Daniela Chongkovafrom our EEN partners presented about their activities. The ABC also announced the returning to membership in the Association of Automotive Cluster, which in an email to the President Mrs. Genoveva Hristova expressed their position and intention to continue their participation in the Association. 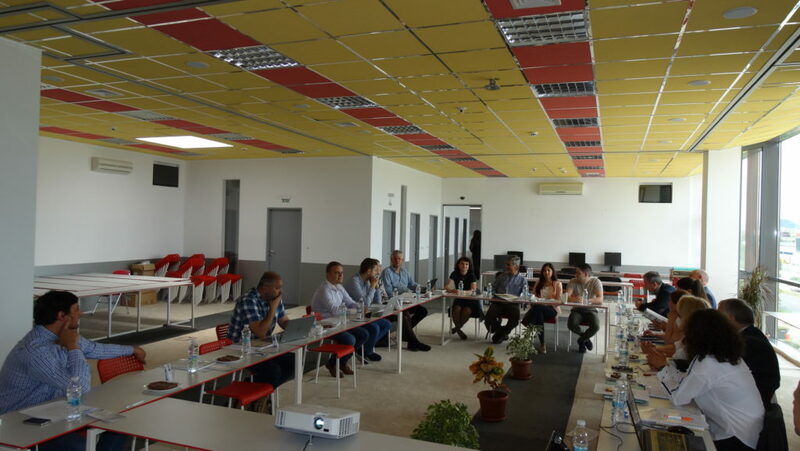 Negotiations are being held to attract a few more new members to the ABC ranks, some of which are ICT Cluster Blagoevgrad, ICT Cluster Burgas, Cluster Trakia Economic Zone (TEZ), Cluster Industry 4.0 Bulgaria and others. Cluster Trakia Educational and Qualification Hubwas accepted as ABC member. After the end of the official part, with the kind support of Vyara Pancheva, some of the participants examined and became acquainted with the activities of our partners from TEZ.